Madonna's 13th studio album, Rebel Heart has arrived. How does it stack up compared to the rest of her discography? Let's take a look. Rebel Heart is rebellious, it fights against ageism and the sexual boundaries of society, but this is something Madonna has been doing for years. 13 albums in, Heart fails to add something truly new to Madonna's discography in its message. Its production is more trap and somewhat more minimalist than Madge's previous works, but Rebel Heart can't stand up against Madonna's magnum opuses. That being said, Rebel Heart isn't bad, it just isn't great enough to compete against the precedent Madonna has set for herself, and the pop stars since her arrival. 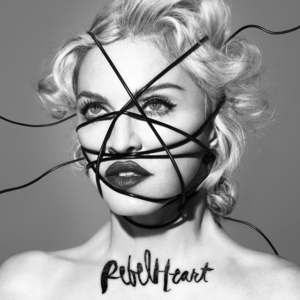 Rebel Heart has moments of strength but overall, it is just far too inconsistent to be any better than "good."